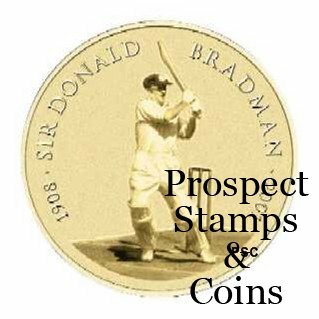 In 2001 we have saw the passing of Australia's, if not the worlds greatest cricketer of all time, Sir Donald Bradman. Sir Donald had a test average of 99.94 from the 52 tests he played and was the highest run scorer in World test cricket scoring 334 runs. 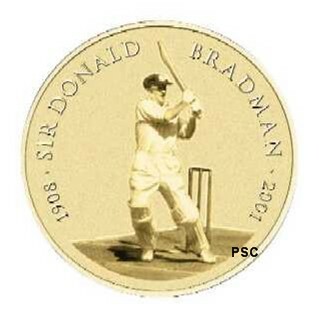 The Perth Mint and The Royal Australian Mint have come together to produce some wonderful coins to commemorate this great mans life and his achievements in the game of cricket. The mintage of the five dollar bronze coin is 250,000.